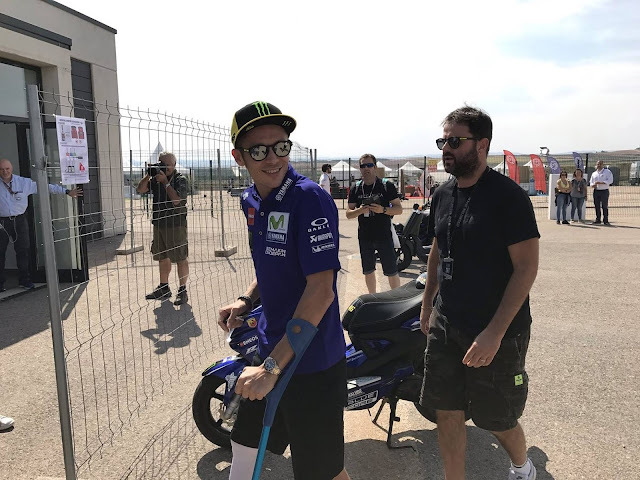 Valentino Rossi arrived at the Aragon track where he conducted official medical examinations to get ok to attend the GP that runs Sunday. Dorna's doctors have visited him and declared fit to go on track in the freerings that begin on Friday. 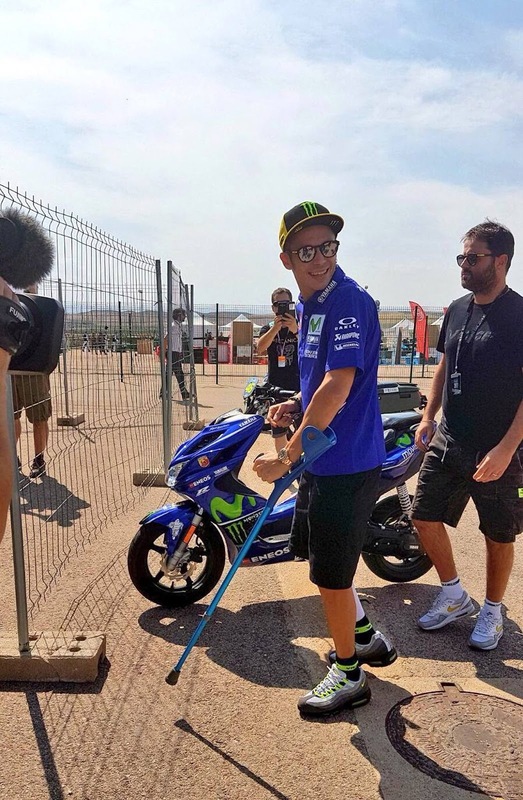 Dorna has spread the images of the Pesaro champion who comes down from the car with the help of a stick and heads to his motorhome. Rossi is recouping from softening his correct leg up a motocross preparing crash in late August, and skirted the past Misano race two ends of the week prior. 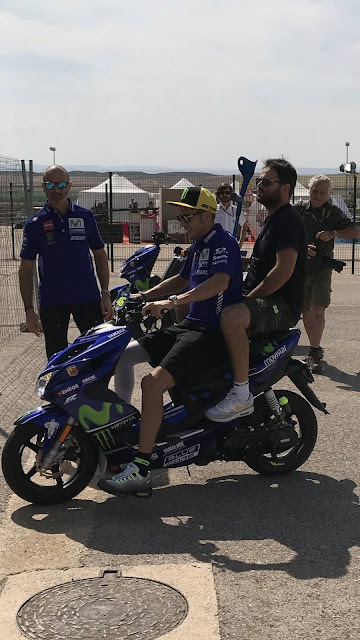 The Italian was likewise anticipated that would sit out the Aragon round however, in the wake of testing a street bicycle on Monday and Tuesday at Misano before experiencing an ensuing therapeutic examination on Wednesday, Rossi has selected to attempt and ride at the Spanish setting. 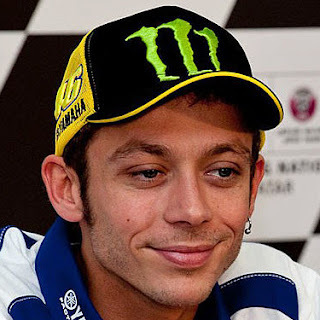 His on-track MotoGP return must be affirmed pending a restorative wellness test, which he has now passed. An announcement from Yamaha read: "This evening [Thursday] Valentino Rossi effectively finished a compulsory restorative examination did by MotorLand Aragón's Chief Medical Officer, Clemente Millan. "He proclaimed that the nine-time title holder is fit to ride, 21 days in the wake of supporting leg damage. The Italian will participate in the FP1 session tomorrow." Rossi being pronounced fit does not, notwithstanding, ensure that the 38-year-old will participate in the whole of the race end of the week. The Italian, who is 42 focuses behind joint title pioneers Marc Marquez and Andrea Dovizioso, said heading into the end of the week: "On the off chance that I will be proclaimed fit to ride, I'll have the genuine answer after FP1, on the grounds that riding the M1 [MotoGP bike] will be a considerably greater test." Should Rossi rule against finishing the end of the week, his bicycle will be given over to World Superbike rider Michael van der Mark. Valentino Rossi has undergone a medical examination which has given a positive result to compete in the Aragon MotoGP race weekend.